If you are visiting Bend, Oregon, you have undoubtably had a fun but exhausting day of hiking, biking, shopping, and touring. You need sustenance, and you are in the mood for a large and satisfying meal. The Brickhouse Restaurant in Bend offers some very fresh steak and seafood in a bright and trendy downtown space. Brickhouse boasts its own wine cellar and a staff that will be happy to help you select the perfect vino to pair with any entrée you may chose. The menu combines traditional American food with Japanese cookery. Brickhouse is one of the top Bend Oregon restaurants because people have been saving money by eating dinner at happy hour for a long time. Brickhouse picked up on this and offers a unique three course happy hour menu served Monday through Friday from 4:30 pm to 5:30 pm. It includes a choice of appetizer, soup or salad, and an entrée. Some of the tastiest options include a yummy and rich clam chowder and the scampi style prawns. The price of the happy hour dinner tops out at $39.95. If it is cocktails and snacks that you crave, the bar offers many small plates, including fried mozzarella, tempura zucchini, and calamari. In addition to the impressive selection of wine, they offer unique spins on classic cocktails, such as a whiskey sour made with egg whites and a gin smash made with strawberries. The Brickhouse restaurant in Bend dinner menu kicks off with some tantalizing appetizers, including tasty crab cakes and a rich artichoke and spinach dip. There are many different steaks and chops offered at the restaurant. Popular main courses include a filet and lobster special and a very fresh New England lobster. If it is noodles you desire, there is a seafood pasta with prawns, scallops, and a Parmigiano Reggiano cream sauce. If you want the sauce, but not the fish, the pasta primavera combines Parmigiano Reggiano with fresh vegetables. Desserts include some tasty cobblers and house-made ice cream. There is also a crème brulee that comes with a perfect sugar crust. After such a big meal, you will certainly want a place to sleep it off. 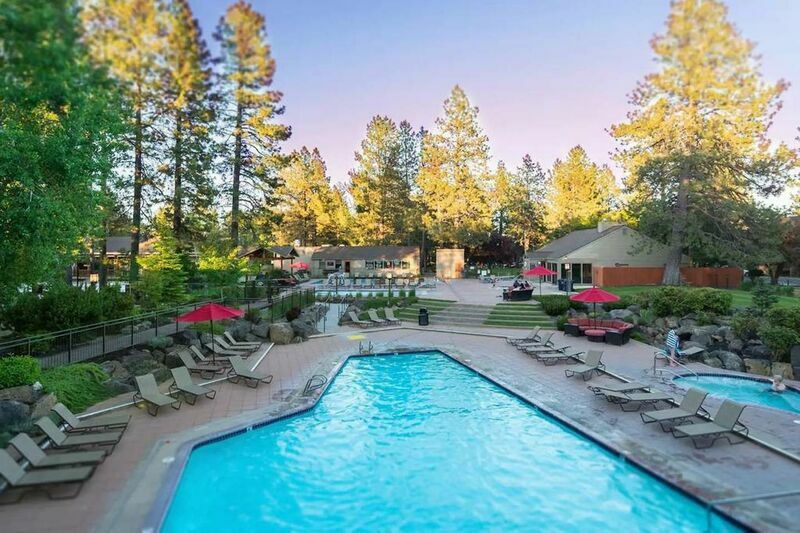 The vacation rental experts at Bend Vacation Rentals can find you a place to stay whether you are traveling solo, in a pair, or in a large group. Give us a call to learn more about Bend Oregon restaurants and to book your vacation rental today. Our properties go fast, and we want to make sure your Bend vacation is flawless!